More practical than the Coupe. Impeccable build quality and finish. Quiet and refined. Good performance and economy. Expensive compared to A4 saloon and A5 Coupe. Not as fun to drive as a 4 Series Gran Coupe. 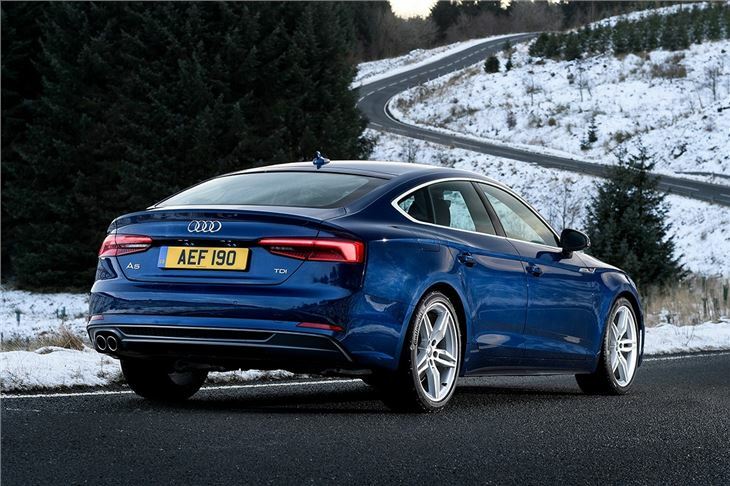 The Audi A5 Sportback combines the stylish coupe looks of the A5 with some extra practicality, thanks to its rear doors and more practical hatchback tailgate. The engine range is strong, with punchy performance and good economy, plus build quality is impeccable. 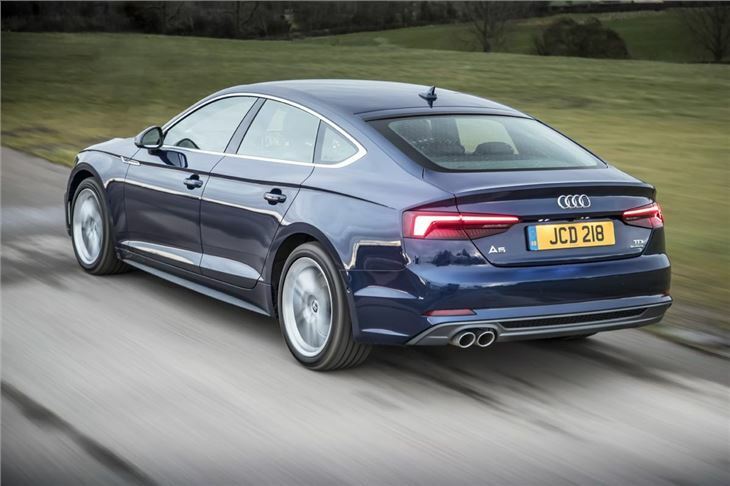 A more pragmatic buyer will be better off with an A4, but if you want some extra style it’s hard to fault the A5 Sportback. You do have to pay a few thousand pounds more over an A5 Coupe for those extra doors, but if you have children it’ll all be worth it. 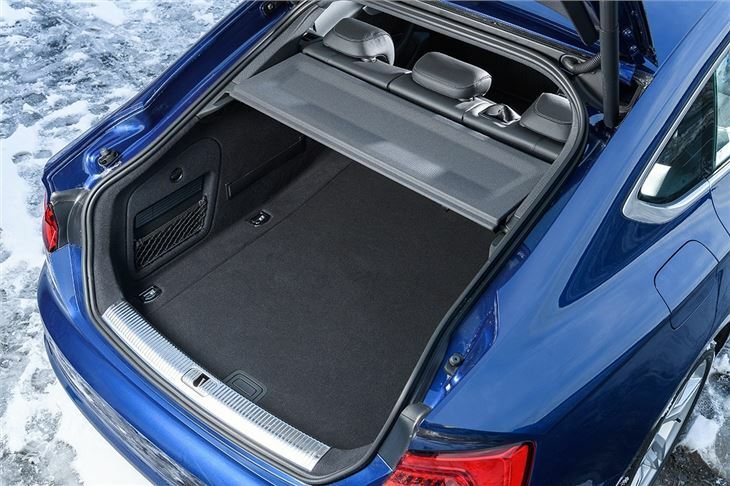 But even more useful is the huge, power-operated hatchback, which makes for easy access to the sizeable 480 litre boot. It’s far easier to get child seats and buggies in and out than in the A5 Coupe or even the A4 saloon. Up front the A5 Sportback is, in typical Audi fashion, almost flawless. The driving position is excellent, material quality is superb and all the minor controls for audio or climate are easy to make sense of. It’s good to drive too, in an unflustered, capable sort of way – but if you’re a keen driver then a BMW 4 Series Gran Coupe will raise more smiles on a twisting country road. Go for an entry-level 2.0 TDI diesel and you’ll get a manual transmission, but most A5 Sportbacks come with a smooth seven-speed S tronic auto. Engine noise is hushed even in the four-cylinder diesel and CO2 emissions are as low as 106g/km, which will keep company car tax bills down. Even the 252PS petrol has surprisingly low emissions of 136g/km. There’s also a 354PS S5 if you want serious performance. 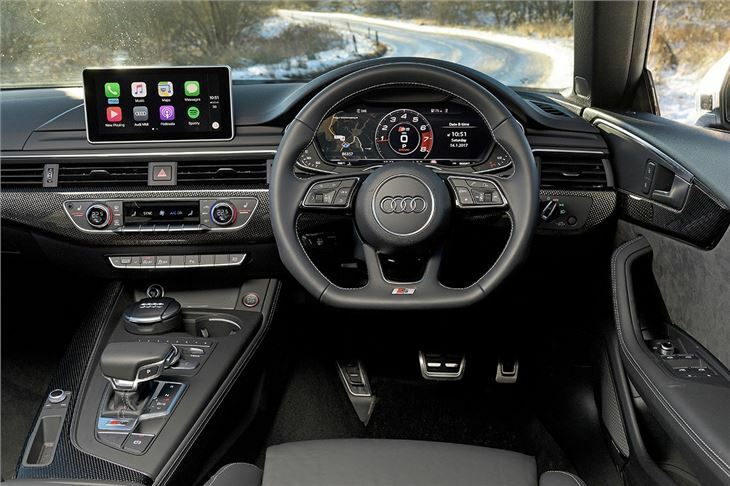 Standard equipment includes three-zone climate control, Audi Smartphone Interface for connecting Android and Apple phones, Bluetooth, DAB, cruise control and active safety tech including auto emergency brakes. Going for higher grades adds largely cosmetic equipment, which leaves plenty on the options list including fancy Matrix LED headlights, along with numerous upholstery finishes. You can also get larger diesel and AdBlue tanks at no cost. 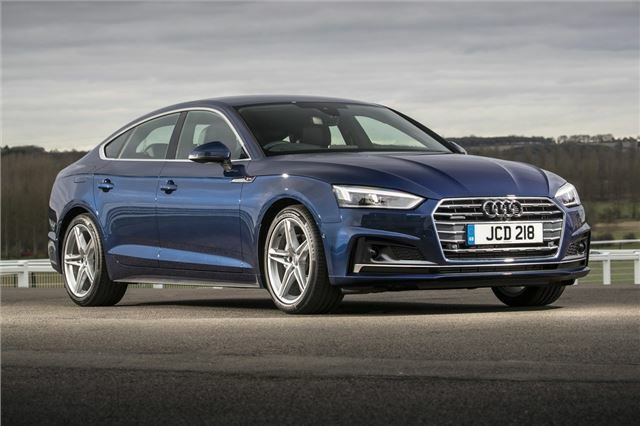 If you want coupe styling with an added sprinkle of practicality then the Audi A5 Sportback fits the bill perfectly – but the looks do mean rear passenger space is limited in comparison to an A4. 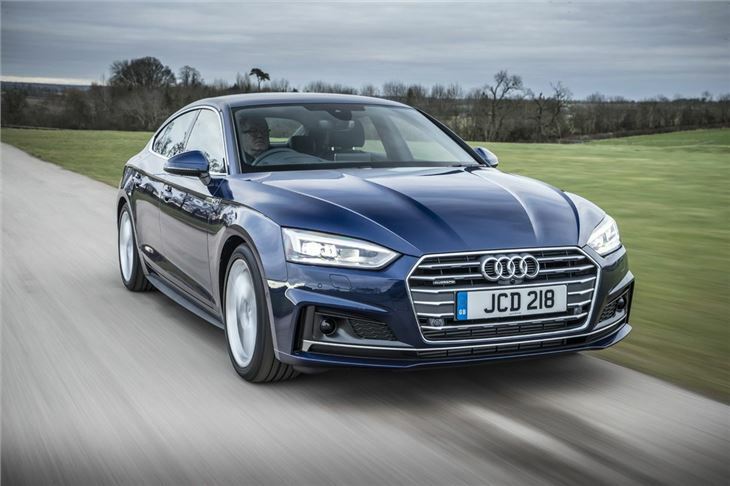 The A4 is cheaper and has a broader engine range too, so it’s a smarter buy for a more pragmatic motorist – but if you are willing to pay more for good looks, the A5 Sportback is great.